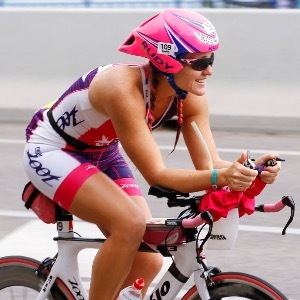 Full time certified triathlon & running Coach. As an athlete myself, I believe in a healthy balance between training, family, work, and life. I believe in confidence, hard work, and discipline. I base your training plan on your most important race, your availability, your experience, your physiological makeup, your limiters, and your race goals and reasons for racing. I form strong relationships with my athletes, offering a truly unique personal service. I am a full time triathlon and running Coach. I am ITCA and RRCA certified and a Certified Ironman Coach. I also have certs in sports injury, sports nutrition, lifestyle and weight mgmt, sports psychology, and personal training. As a 15 time Ironman finisher and 10 time Half Ironman finisher myself, I am confident in the sport of triathlon. I know what it takes! Helping multi-sport athletes and runners take their training to the next level and achieve goals, I am currently accepting athletes. I believe that a healthy balance between training, family, work, and life is crucial to your success. I believe in confidence, hard work, and discipline. I base your training plan on your most important race, your availability, your experience level, your physiological makeup, your limiters (such as physiological capabilities, injury, time, social support, etc. ), and your race performance goals and reasons for racing. I am dedicated to your success as an athlete and believe together, we will achieve HIGH goals. I offer customized training plans as well as full Coaching services that will provide you with everything you need to prepare for your next race at affordable rates (based on goal distance). I use Training Peaks online and accept athletes across the world. Success. Coach Lisa Johnson has been notified of your message.